Ivan has been living almost his entire life in a gulag in Siberia. After his father was shot while they tried to escape, he hasn’t uttered a word. Then one day the guards have suddenly disappeared and Ivan is free to walk. And when he realises that he’s free, he utters a long cry, a sound which stirs all the animals. When Ivan returns to the place he grew up, he discovers that he is alone. Driven by hunger, he eventually makes his way into a small village where he meets a woman, Olga. Olga is a linguist and is shocked to discover that Ivan speaks a language, Vostyach, which is believed to be extinct. 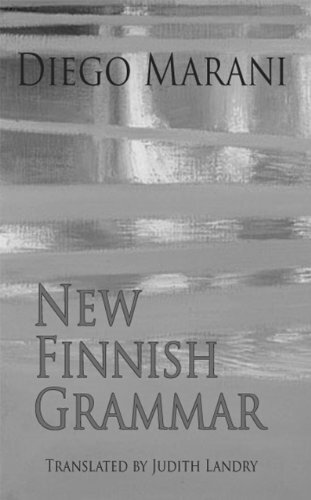 She learns his language and persuades him to come along with her to the Finno-Ugric languages conference in Helsinki. Don’t judge this book by its cover! Which is certainly one of the ugliest I have seen. The story within is amazing. It starts on the desolate Siberian tundra and journeys to Helsinki where it turns into something resembling pulp fiction with pimps and whores, a murder plot and the release of zoo animals. But it also deals with the loss of languages and although Vostyach is an invented language, the theory behind it is true. Diego Marani turns out to be the perfect December read for me. I read New Finnish Grammar last year and it was a linguist’s take on the English Patient; small, beautiful and powerful. 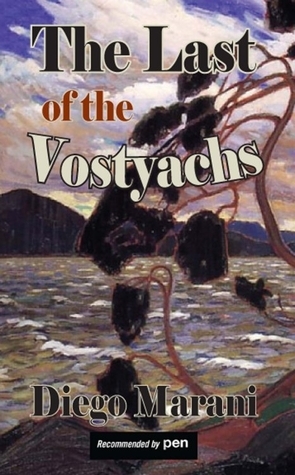 And the Last of the Vostyach is like a book by Arto Paasilinna, but with a linguistic twist. I hope that Diego Marani’s works will continue to be translated so I can continue to read them in December. “My name is Petri Friari, I live in no. 16 Kaiser-Wilhelmstrasse, Hamburg and I work as a neurologist at the city’s university hospital. An unconscious man is picked up in Trieste, Italy and taken on board a German hospital ship, where the doctor, Petri Friari, takes interest in the man with no recollection of who he is. Based on the name tag on his sailor’s jacket, Sampo Karjalainen, he assumes that the man is Finnish and gets him a safe passage to Helsinki. He is not getting much help from the doctors at the military hospital in Helsinki, but he meets a priest that helps him with learning Finnish, using the Kalevala to explain the Finns’ unique position in the world. Meanwhile, the war is raging and Sampo gets to know a nurse, Ilma, but he is afraid to get involved with her until he knows whom he truly is. This small and quiet book is one of the best I have read this year. This is without a doubt the hardest book I have ever read. I almost gave up after the first twenty pages as it was just a bunch of weird names and references. I have never googled more while reading a book and the impressive thing is that everything is correct. 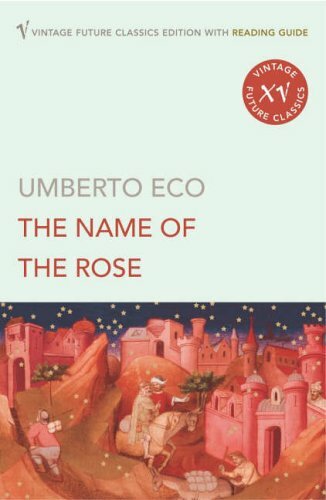 How Umberto Eco was able to write this book, I can’t even imagine. What is it about? I’d say everything. It is about three men working at a publishing house that hear a strange story concerning the Templars and then decide to look into it. And then they realise that there is a universal master plan that various secret orders are still looking for. This book manages to connect everything from the Crusaders to Hitler. It is confusing and demands a lot from the reader. I don’t think I ever have learnt so much from reading something that is pure fiction. It is one of those books that I need to reread after reading a 1000 more books. I loved Lia, the narrator’s wife who had the most down-to-earth answers to the conspiracies. The part where she compares magic numbers to orifices in the human body is simply brilliant. What I really didn’t like about this book, was that a lot of it was in in other languages. With it being sources, I do understand why, but it just made it more confusing. I might have missed something significant because I cannot understand Italian or French. But that is my only complaint. I can’t wait until I get home to my bookshelves so I can read the Name of the Rose by the same author.